Married to his wife Dr. Laura Rickenmann, a well-regarded pediatrician in Columbia, for the past 21 years, Mr. Rickenmann was an owner and partner of several restaurants in the City of Columbia, including Birds on a Wire, MoMo’s Bistro, Yo Burrito among others. Today, he works as a business consultant. The Rickenmanns have two daughters – Carlyle (age 17) and Ellie (age 14) – and the family regularly attends and are active members of Shandon United Methodist Church, where Daniel used to serve on the church’s property committee. Mr. Rickenmann earned his bachelor’s degree from the University of South Carolina in 1992. 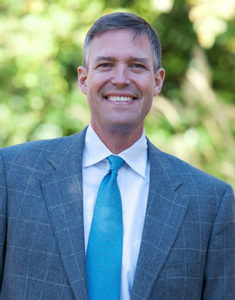 Prior to his enrollment into USC, Mr. Rickenmann graduated high school from Virginia Episcopal School in Lynchburg, Va.